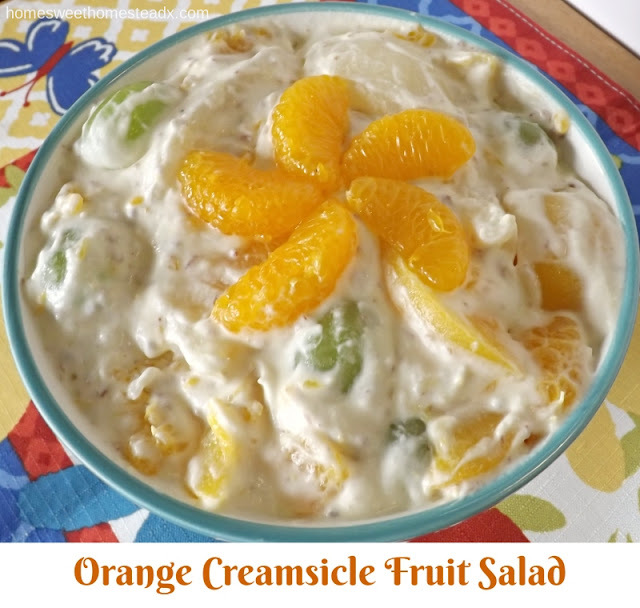 Orange Creamsicle Fruit Salad is loaded with naturally sweet fruit, and wrapped in a creamy, orange flavored, whipped coconut cream. And the best part? It taste like a yummy orange creamsicle! I've been making this fruit salad for quite a few years, but used to use cool whip and flavored it with vanilla extract. Now that I follow a dairy free diet, I've switched to using canned coconut milk, which made it healthier and better tasting in my opinion. I also added a little sugar in my old recipe, but since I've discovered Barleans Seriously Delicious Total Omega Orange Creme, the sugar is totally unnecessary! It's naturally sweetened, and has an amazing creamy orange taste. So it sweetens the whipped coconut cream without any added sugar. This stuff is a powerhouse. It contains flax, fish and borage oils; which is a balanced source of Omega-3, 6 & 9. It's also Non-GMO, Gluten Free, has no artificial flavors or colors, and no added sugar. Don't let the fish oil scare you! 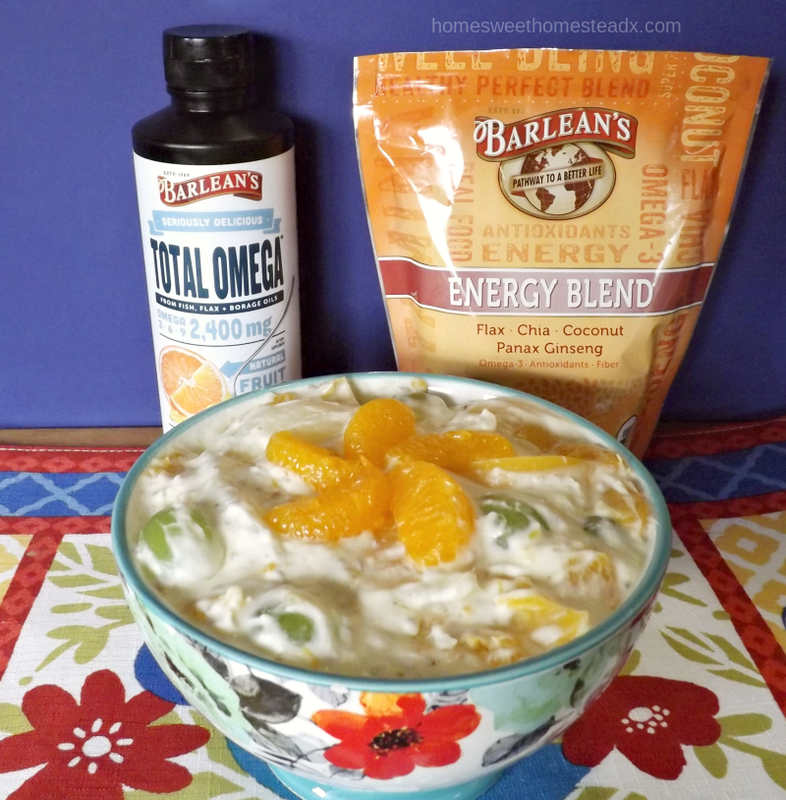 Other fish oil supplements on the market always made me burp up the taste of fish all day, but there are NO fish burps with Barleans, I promise! 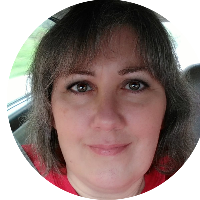 I also used their Organic Energy Seed Blend. It contains a blend of flax, chia, coconut, and Panax Ginseng. Which not only helps give you an energy boost, but also has a slightly nutty flavor. I normally add nuts to fruit salads, but I think the Energy Seed Blend offers more health benefits. This fruit salad is quick and easy, once you have the coconut milk chilled. It taste so much like an orange creamsicle, that you'll be looking for a ice-cream stick! 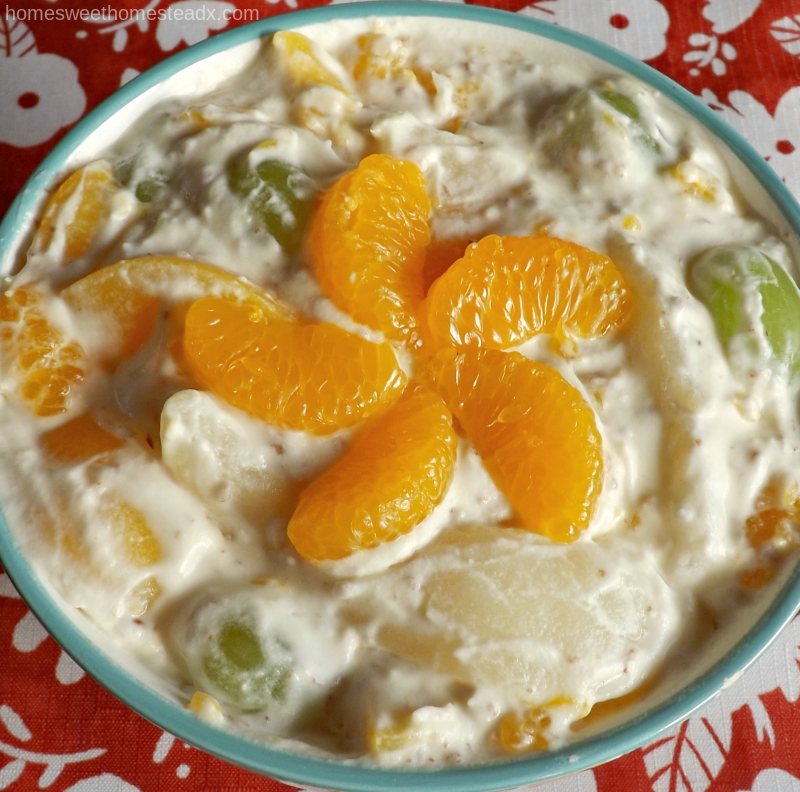 :) It's the perfect fruit salad for brunch, as a snack, or at your next potluck or BBQ. Don't forget to check out all of the other #SpringSweetsWeek recipes by fellow bloggers in the links below. Add all of the fruit into a large bowl. Set aside. Carefully open the con of coconut milk and scoop out the hardened cream. Save the coconut water for later use, such as in a smoothie. Add the hardened cream to a stand mixer bowl, and start mixer on low, gradually working up to medium. 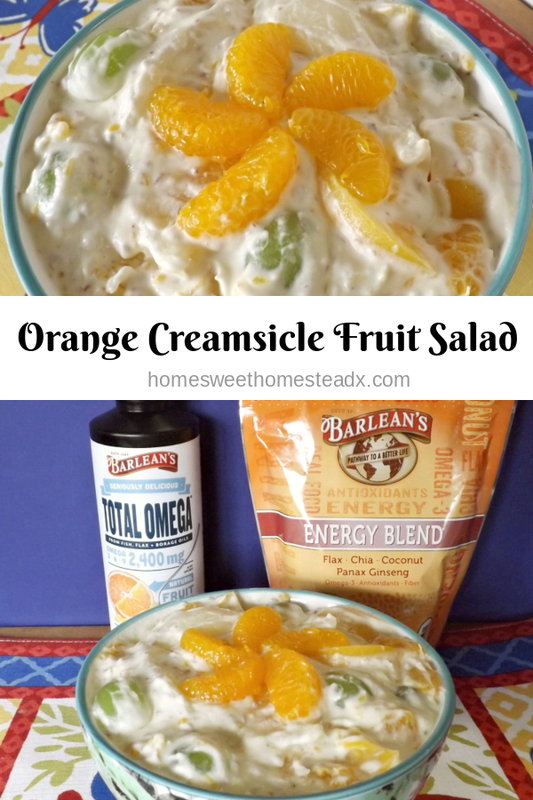 Once it becomes smooth and creamy, add the Barleans Seriously Delicious Total Omega Orange Creme, and beat on high until thick and creamy. Spoon the whipped coconut cream onto the fruit, sprinkle with Organic Barleans Energy Seed Blend and stir gently to combine. 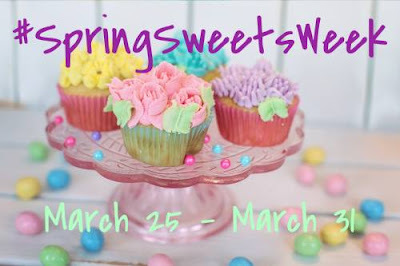 Taste for sweetness and add a little Stevia if desired. Refrigerate until ready to serve. Fresh mandarin oranges and peaches may be used instead of canned if you prefer.